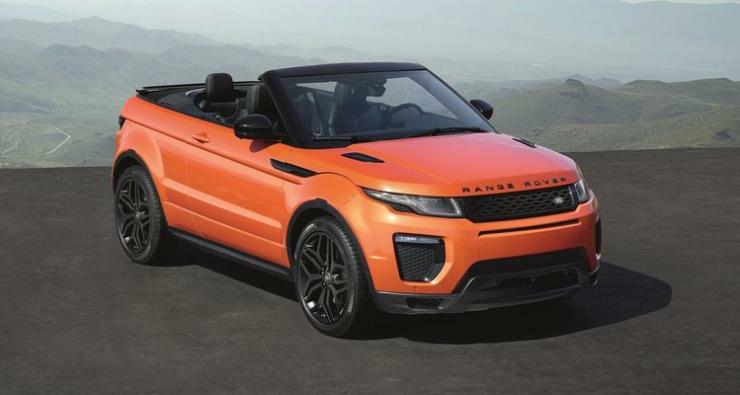 Land Rover will launch one of the most desirable SUVs in the world – the Range Rover Evoque Convertible. The convertible SUV will be officially launched on 27th March 2018 and it will be first-ever such SUV to make way for India. The car was first showcased at the 2015 Los Angeles motor show and was launched in the international markets subsequently. 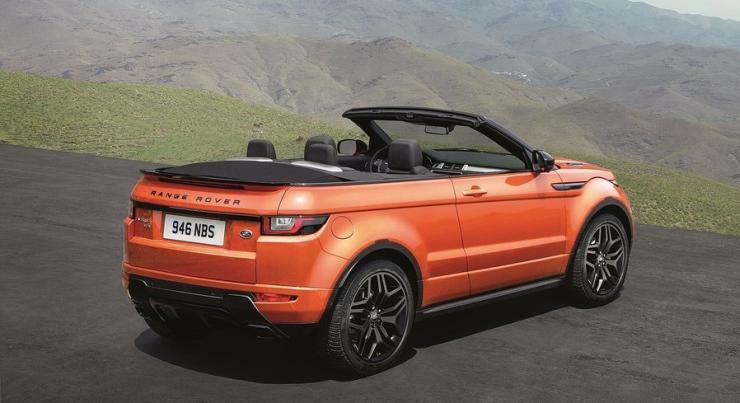 The drop-top Evoque shares the underpinnings with the regular Range Rover Evoque. However, due to the foldable roof, the monocoque chassis has been reinforced to add more strength to the vehicle. The door panels have been reinforced too. A car without a roof needs a stronger body. It is a two-door version of the Evoque but there are seats for four occupants. The roof is made up of fabric and is electrically operated. At speed up to 48 km/h, the roof can be operated and it takes about 20 seconds to completely fold or unfold the roof. Land Rover claims that the roof uses a special acoustic inner lining that reduces the road noise and enhances the cabin insulation. Fabric roofs tend to be less effective than the metallic ones. Land Rover has also installed a wind deflector on the windscreen that reduces the wind noise efficiently when the roof is open. 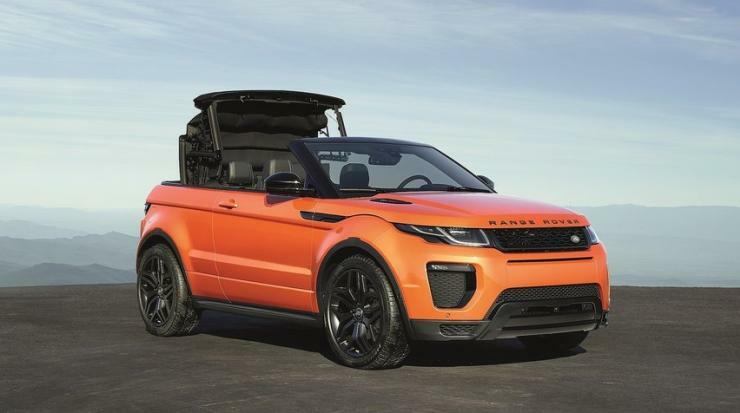 The Indian version of the Evoque convertible will be powered by JLR’s latest 2.0-litre Ingenium petrol engine that is also available with Range Rover Velar. The four-cylinder unit produces a maximum power of 240 Bhp and 340 Nm of peak torque. It gets a 9-speed automatic transmission with the full-time four-wheel drive system. The SUV is quite quick and can do 0-100 km/h in just 8.1 seconds while the top speed is limited to 217 km/h. In India, only the top-end, fully loaded version will be available. the HSE Dynamic variant gets features like adaptive LED headlamps, Windsor leather seats, navigation, ambient lighting,10-inch infotainment screen with voice recognition is available. The car also gets power fold, heated door mirrors, memory seats with mirrors, approach and puddle lamps, rain sensing windscreen wipers, keyless entry, surround sound system, 12-way electric front seats memory and more. To keep the occupants safe, there is also a pop-up roll bar that deploys when the car senses roll-over. This roll-bar will save the occupants in case of turn-overs by giving them extra space between the road and the vehicle. The price will be officially announced on March 28th but the price is expected to be around Rs. 85 lakh, ex-showroom.